Prize Pool: $965,650 | Entrants: 434 | Congratulations to Josh Reichard for winning $221,293 and the $3,500 championship package! 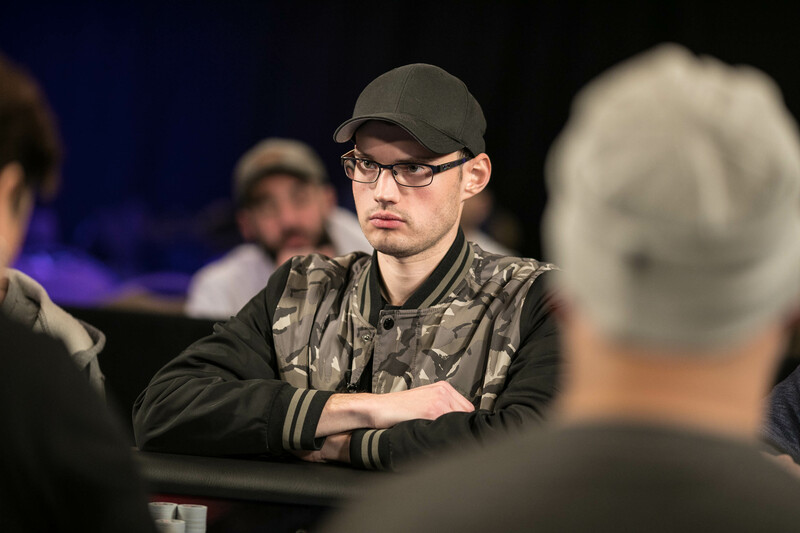 East Chicago, IN (November13, 2018) – Josh Reichard is an accomplished professional poker player with 10 WSOP Circuit rings to his name. On Tuesday, Reichard added to his impressive resume and surpassed a career milestone. 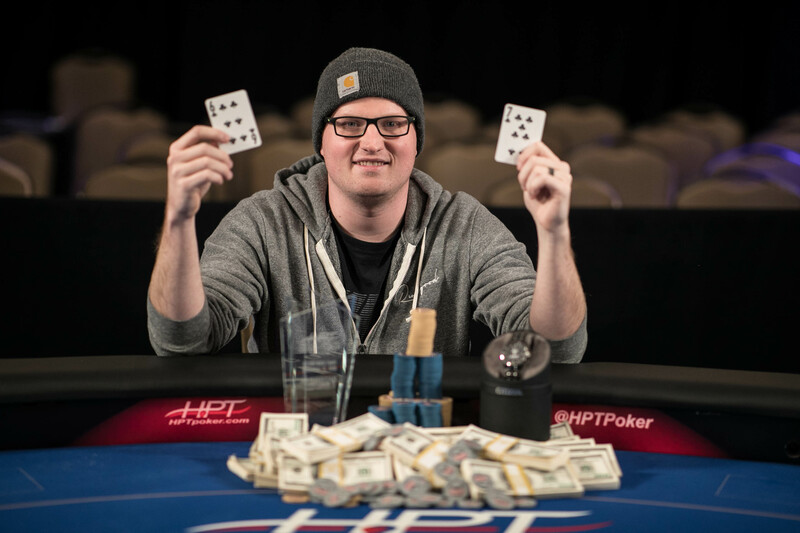 The Janesville, Wisconsin man topped a field of 434 entries in the Heartland Poker Tour (HPT)$2,500 Season XIV Championship at Ameristar East Chicago to take home $221,293.The win pushed Reichard’s career earnings total over $1 million. “I’m probably going to invest in some real estate,” Reichard responded when asked of his plans for the prize money. “Play more poker,obviously,” the champ said with a smile. The $221k cash is the largest of Reichard’s career by a large margin but it didn’t come easy. Reichard fought through a table full of well-known players. His last opponent was Pittsburgh’s Bobby Noel. Though Reichard came into heads up play with a 10-1 chip lead, Noel fought back and found several double ups. At one point, the two players’ stacks were nearly even. On the final hand, Noel flopped top pair with a flush draw. He got the last of his chips into the middle only to find Reichard had flopped a flush. Noel did not improve on the turn or river. He finished in second place for a $136,625 score, also the largest of his career on the felt. 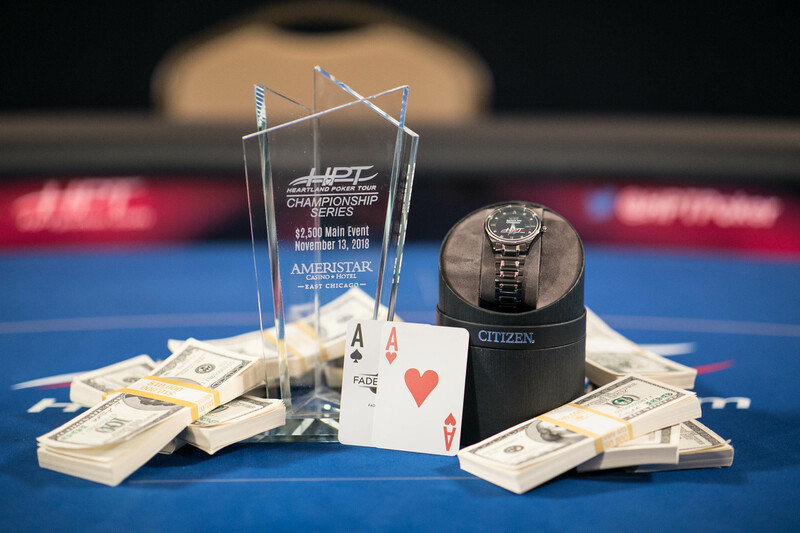 In addition to the prize money on the line, the Ameristar EastChicago event was the final chance for players to earn Player of the Year points. 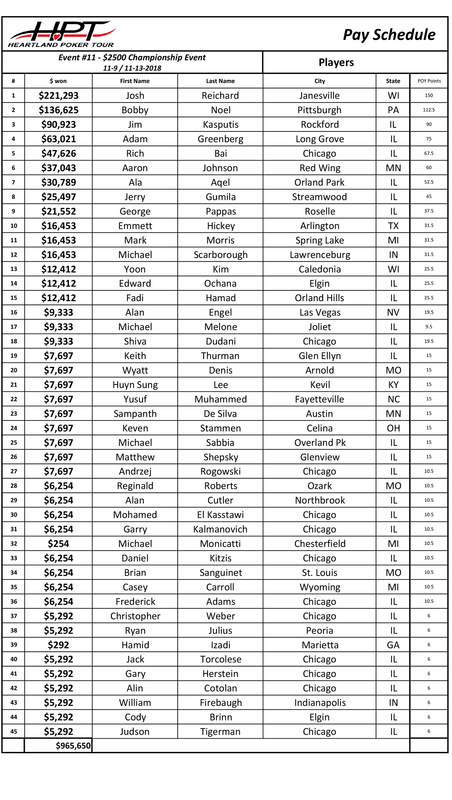 The POY standings were extremely tight when the $2,500 ChampionshipEvent began Friday. 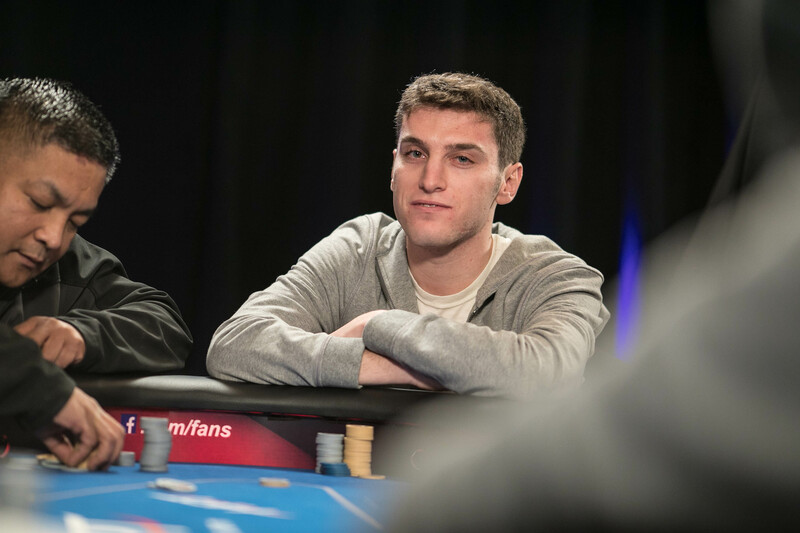 Two players at Tuesday’s final table had a chance to take the lead. Ultimately it was Red Wing, Minnesota’s Aaron Johnson whose sixth-place finish for $37,043 catapulted him to the top of the standings. Johnson had four total cashes on the season. Those included one win and two other final tables. By claiming the Player of the Year title Johnson earns a $10,000 package to use towards buy-ins next season along with hotel accommodations at up to six stops. 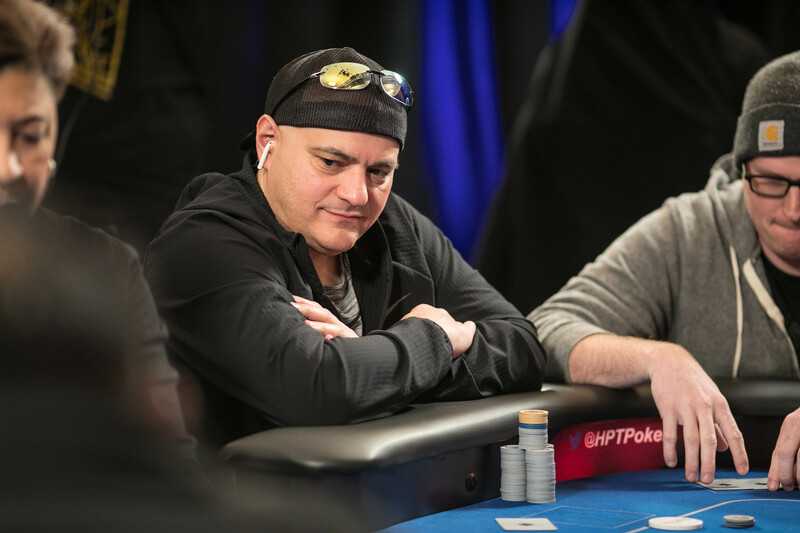 The only player at the final table with a chance to overtakeJohnson was Jim Kasputis. Once Johnson went out in sixth, Kasputis needed an outright win to become Player of the Year. Though he made a deep run, Kasputis was eventually eliminated in third place. The consultant from Rockford,Illinois collected $90,923 for the third-place finish. 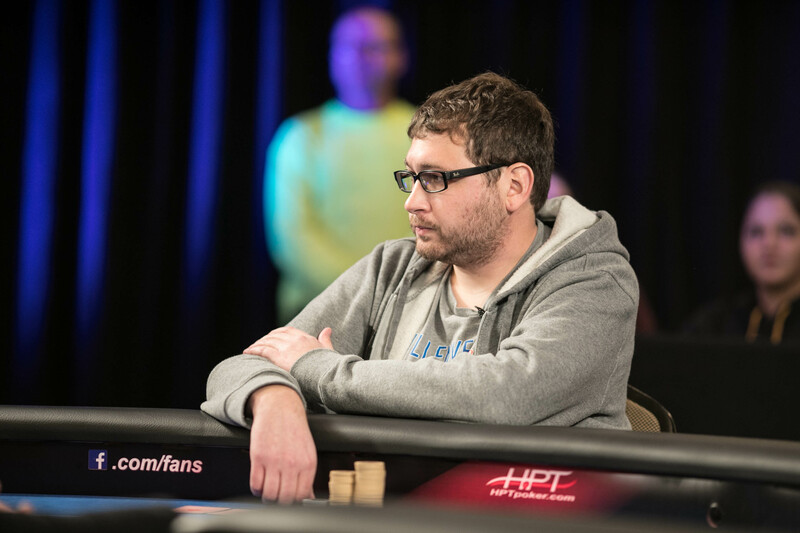 Accountant Adam Greenberg made the most of his first HPT cash.The Long Grove, Illinois man only has a handful of career cashes listed on his profile with The Hendon Mob. Much like Reichard and Noel, Greenberg also played his way to the largest score of his career Tuesday. He would finish the day in fourth place for a $63,021 payday. 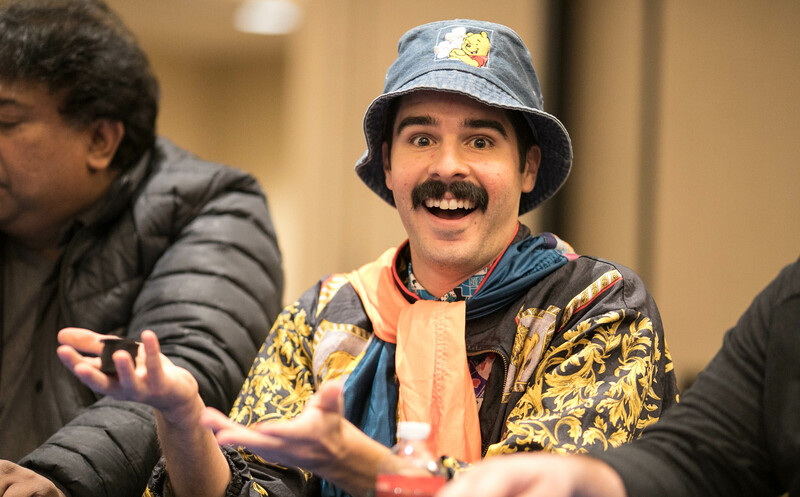 Chicago’s Rich Bai had an up and down day before pushing the last of his chips in the middle with king-queen. He was called by the eventual champ’s ace-king. 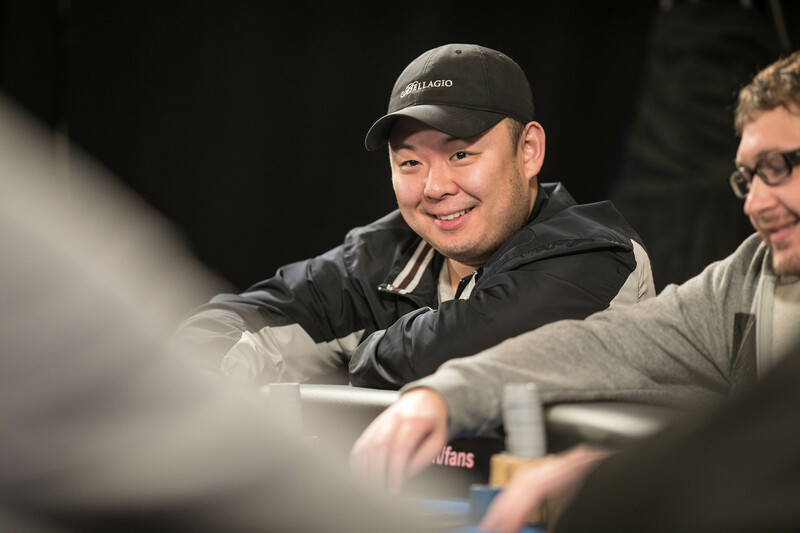 The board ran out safely for Reichard and Bai, a professional poker player, was sent to the rail in fifth place. He earned $47,626 for his efforts. 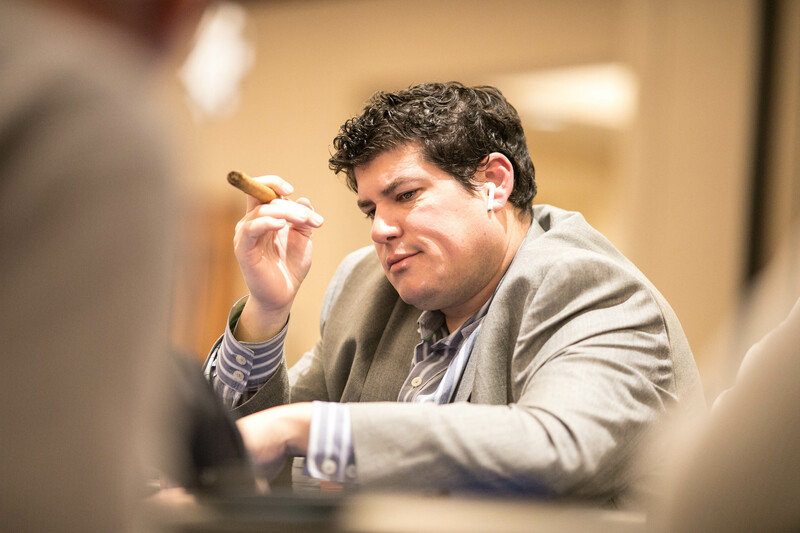 Ala Aqel already has a WSOP circuit ring and an MSPT title to his name. 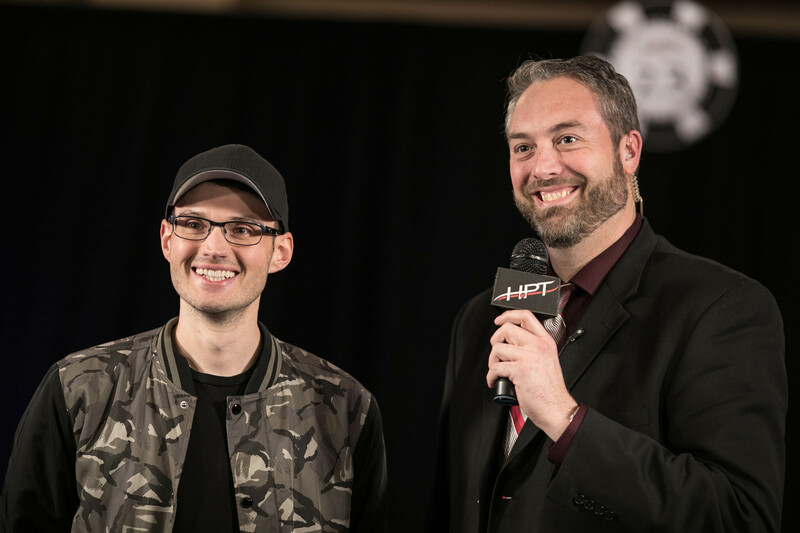 He was looking to add an HPT win to his resume but it wasn’t meant to be. The Orland Park, Illinois native made a good run at the title but fell just short. 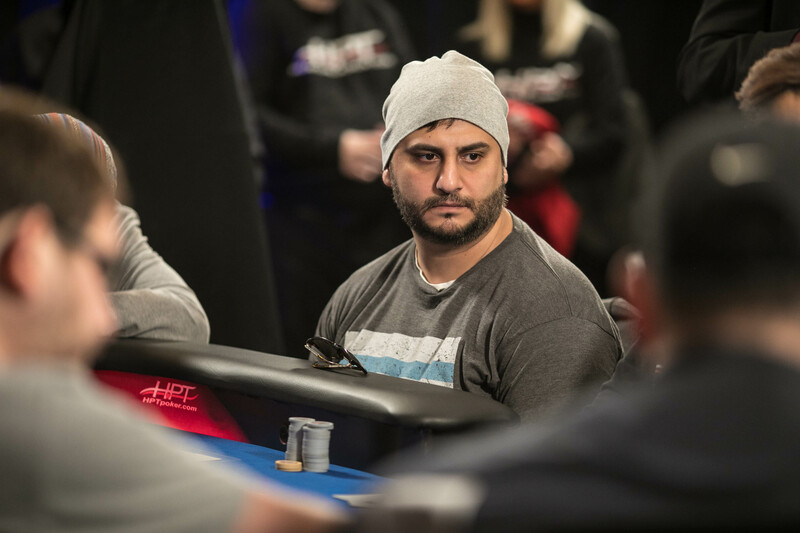 Aqel was eliminated in seventh place for $30,789. 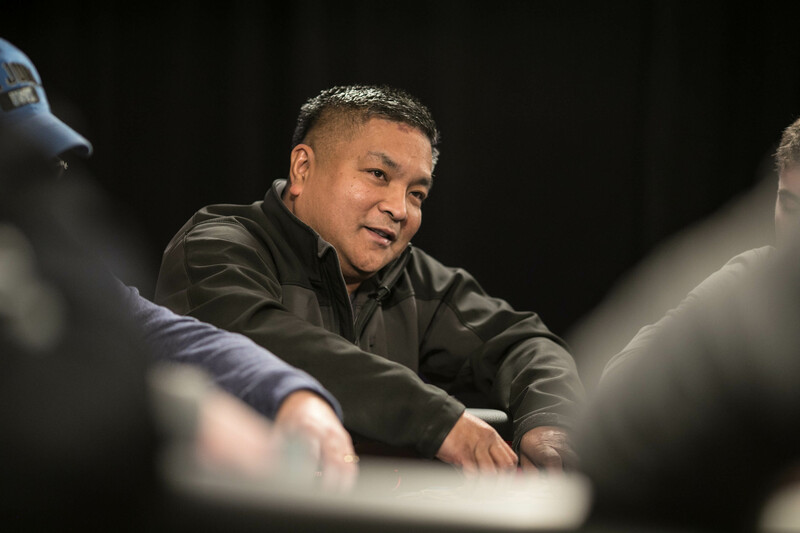 Technician Jerry Gumila had two previous appearances under the lights of a televised HPT final table. The Streamwood, Illinois man was never able to get much going. Gumila would finish in eighth place and collect $25,497for his weekend’s worth of work. 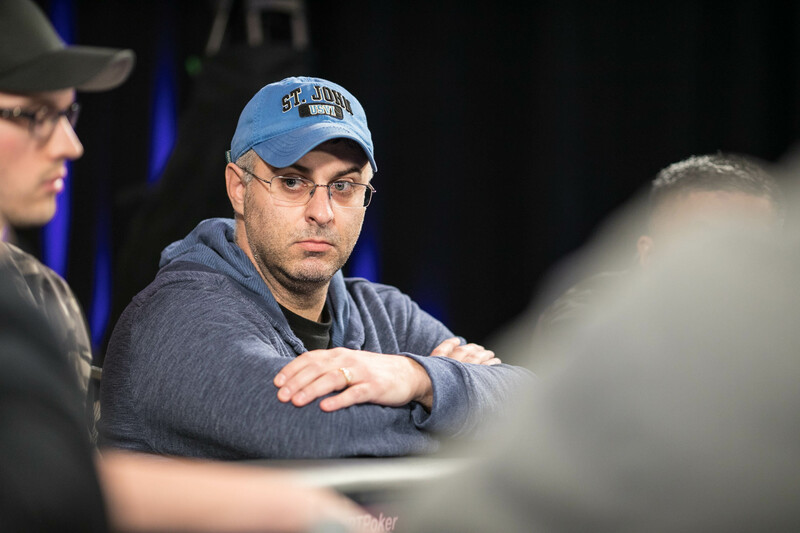 The first player to be eliminated at the TV table was George Pappas. Pappas, a salesman from Roselle, Illinois earned $21,552 for ninth place. 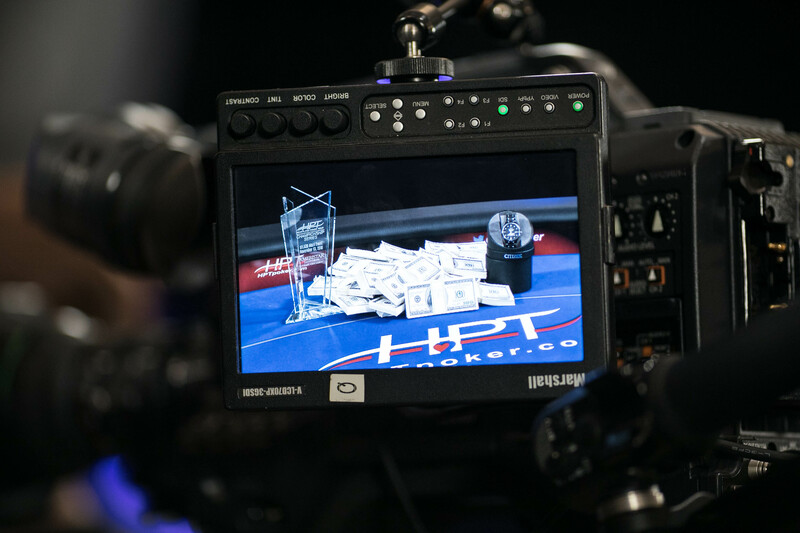 This was the final event of 2018 for HPT. 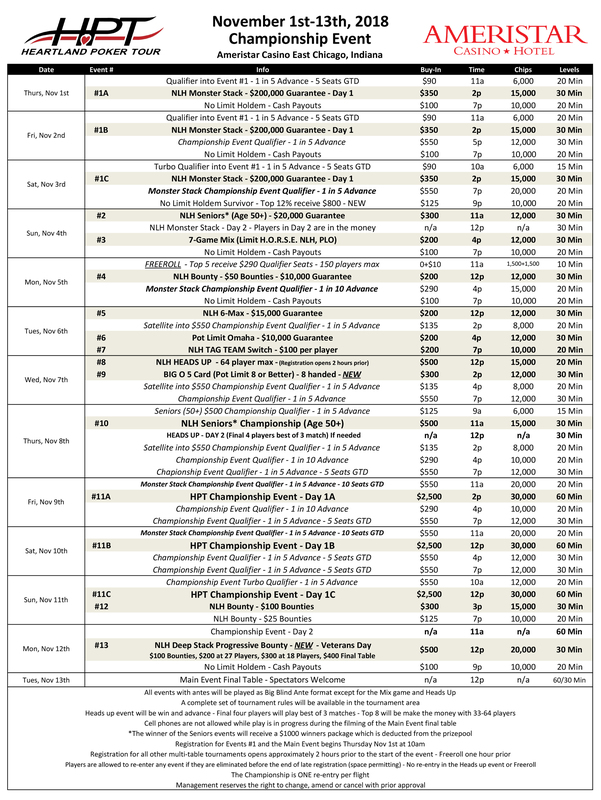 The tour has already added several events to the 2019 schedule at HPTpoker.com,including new stops in St. Louis, Missouri and Columbus, Ohio. 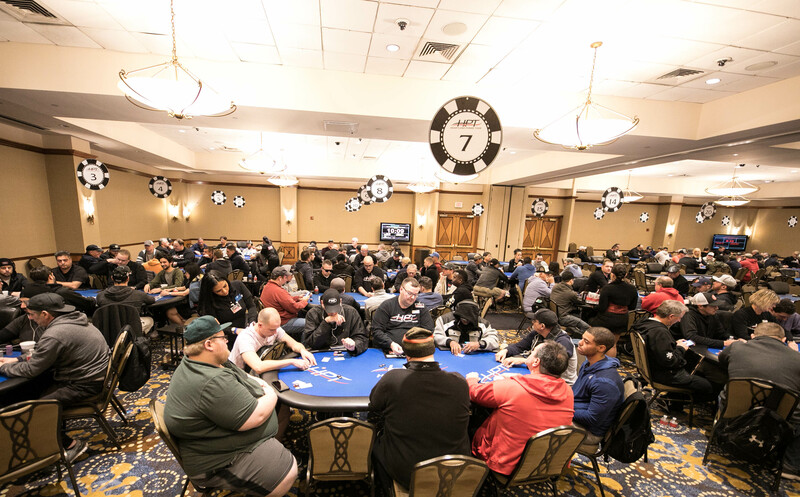 Season XV kicks off in early January at Ameristar East Chicago. Located adjacent to the East Chicago Marina and less than 25 miles from downtown Chicago, Ameristar Casino Hotel East Chicago offers an exceptional gaming and entertainment experience in the Chicago metropolitan area. The property features a 56,000 square-foot casino; a quality full-service hotel with 288 well-appointed rooms and suites; a fitness center; five dining venues; two lounges; and 5,400 square-feet of meeting and event space.